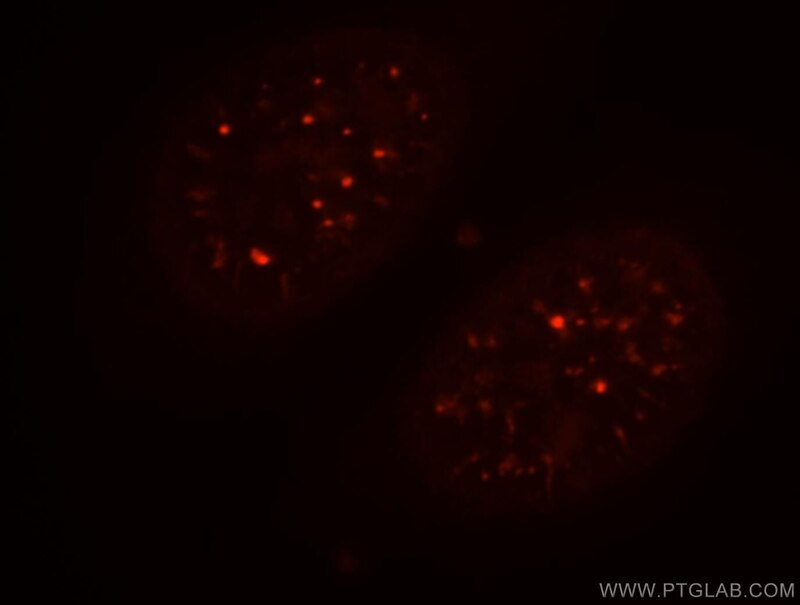 Immunofluorescent analysis of HepG2 cells, using CCNY antibody 18042-1-AP at 1:25 dilution and Rhodamine-labeled goat anti-rabbit IgG (red). 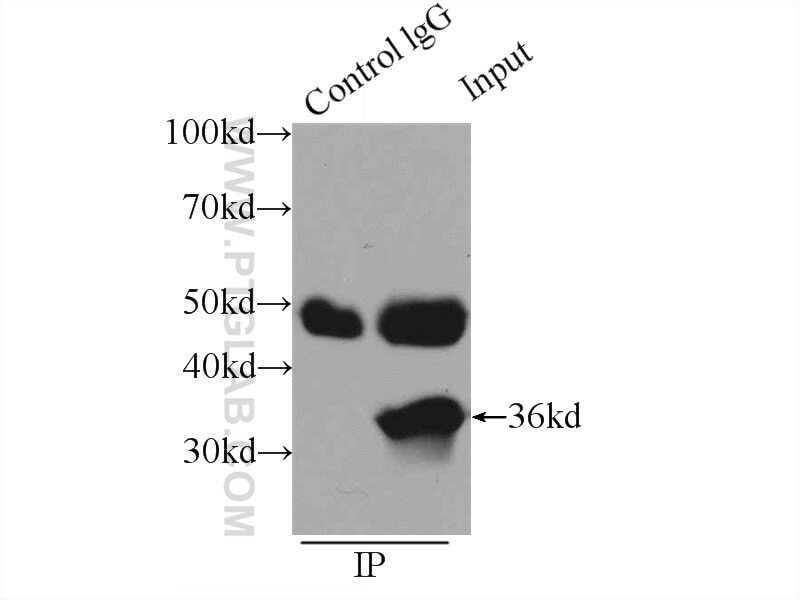 IP Result of anti-CCNY (IP:18042-1-AP, 3ug; Detection:18042-1-AP 1:600) with K-562 cells lysate 2400ug. 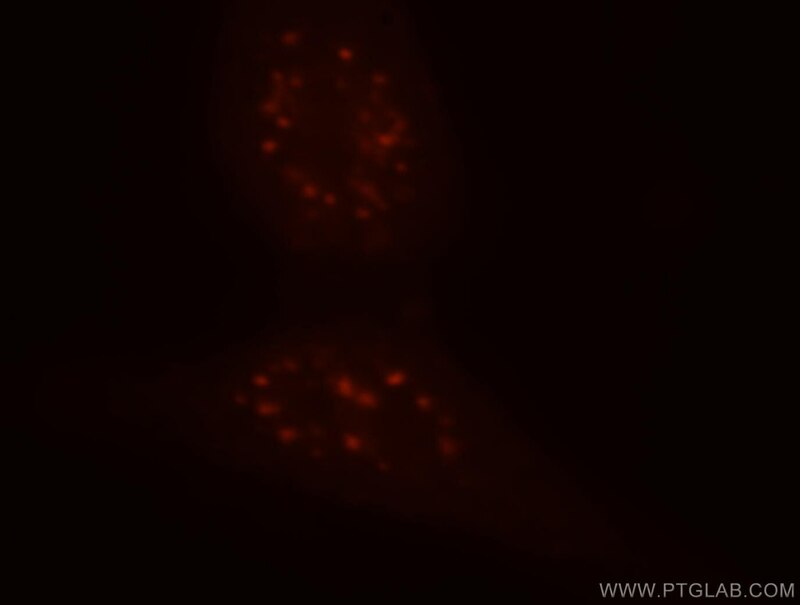 CCNY, also named as C10orf9, CBCP1, CFP1, is a novel cyclin. CCNY acts as a cell-cycle regulator of Wnt signaling pathway during G2/M phase by recruiting CDK14/PFTK1 to the plasma membrane and promoting phosphorylation of LRP6, leading to the activation of the Wnt signaling pathway. Cyclin Y inhibits plasticity-induced AMPA receptor exocytosis and LTP. Cyclin Y-mediated transcript profiling reveals several important functional pathways regulated by Cyclin Y in hippocampal neurons. Caprin-2 Positively Regulates CDK14/Cyclin Y-mediated LRP5/6 Constitutive Phosphorylation. Analysis of substrate specificity and cyclin Y binding of PCTAIRE-1 kinase. Cyclin Y phosphorylation- and 14-3-3-binding-dependent activation of PCTAIRE-1/CDK16.